Today is the Final Day to Take Advantage of a 70% Discount On "Ramble On: A History of Hiking"
Today is the final day of the limited time sale on the eBook version of my new book, Ramble On: A History of Hiking. As mentioned on Friday, the eBook version of my book can be purchased for only $2.99 on Amazon, a 70% discount off the regular price of $9.95. This limited time offer ends tonight. For more information on the book, and to purchase, please click here. Additionally, if you like the book, I would really appreciate if you could provide a review on my Amazon page. 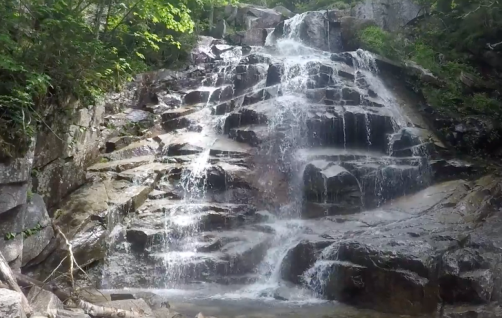 Great Smoky Mountains National Park officials announced that a pavement preservation project will begin Tuesday, February 19 on Little River Road. A thin pavement overlay will be applied to the entire length of the 16.5-mile roadway between Sugarlands Visitor Center to the Townsend Wye along with associated pull-offs and parking lots and the 1.5-mile Elkmont Road leading to the campground. The project should be completed by September 20, 2019, though work schedules are subject to revision as needed for inclement weather. Annoucement: 70% Discount On "Ramble On: A History of Hiking"
A few weeks ago I announced that my new book, Ramble On: A History of Hiking, would be published in eBook format. Today I wanted to announce that for a very limited time the eBook version of the book will be on sale. Beginning right now you can purchase the eBook version for only $2.99 on Amazon, a 70% discount off the regular price of $9.95. You can take advantage of this limited time offer through the weekend. For more information on the book, and to purchase, please click here. ~3300 BCE: In 1991 two German tourists found the mummified remains of “Otzi the Iceman” in the Ötztal Alps along the Austrian–Italian border. Although scientists aren’t entirely sure what this late-Neolithic man was doing at an elevation hovering just over 10,500 feet, there are some that speculate that he may have been an early mountaineer. More importantly, the remnants of the rucksack that he carried on his back is the oldest rucksack ever found. 125: The 2nd century Roman Emperor, Hadrian, hiked to the summit of Mt. Etna on Sicily to see the sunrise, making this earliest recorded hike for pleasure. 1642: Darby Field makes the first recorded ascent of Mt. Washington, which would become the focus of the first tourist destination in the United States in the late 1700s. 1760: The Industrial Revolution begins in Great Britain, and is generally recognized as lasting until the start of World War I. 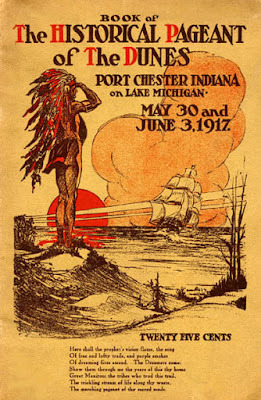 The Industrial Revolution gave rise to the labor movement, automobiles, environmentalism, club culture, and even art. 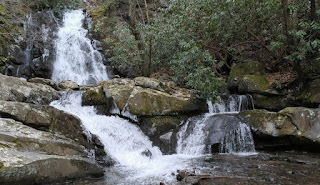 As a result, it is arguably the single most important event to spur the development of hiking and walking for pleasure. 1778: Thomas West, an English priest, publishes A Guide to the Lakes, a detailed account of the scenery and landscape of the Lake District in northwestern England. 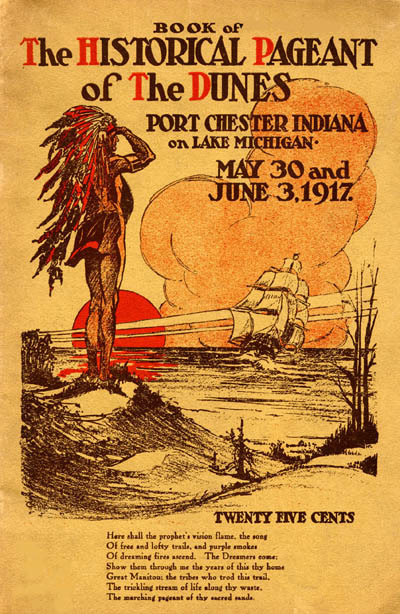 The guide helped to popularize the idea of walking for pleasure, and is credited as being one of the first travel guides. 1786: The modern era of mountaineering is marked by the first ascent of 15,771-foot Mont Blanc in France, the tallest peak in the Alps. 1799: Williams College (of Massachusetts) President Ebenezer Fitch ascends Mt. Greylock with two other companions. 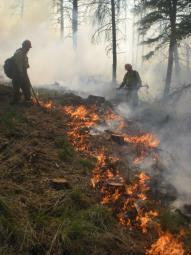 1819: Abel Crawford, along with his son Ethan, blaze an 8.25-mile trail to the summit of Mt. Washington in New Hampshire. 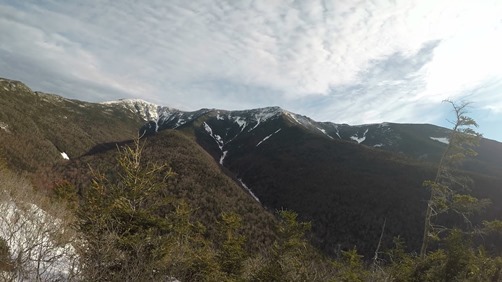 The path is recognized as the oldest continually used hiking trail in the United States, and is likely the first footpath in the entire world to be built specifically for recreational hiking. 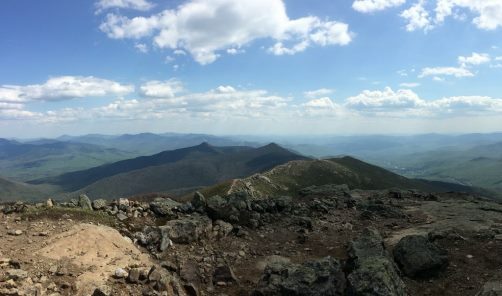 1830: A crew of 100 students and professors from Williams College blaze the Hopper Trail to the summit of Mt. Greylock. Later that same year students constructed a 37-foot wooden tower atop the mountain. This tower, and its replacement, were maintained into the 1850s, and were used for sightseeing and scientific observations. 1850: The Exploring Circle is founded by Cyrus M. Tracey and three other men from Lynn, Massachusetts. 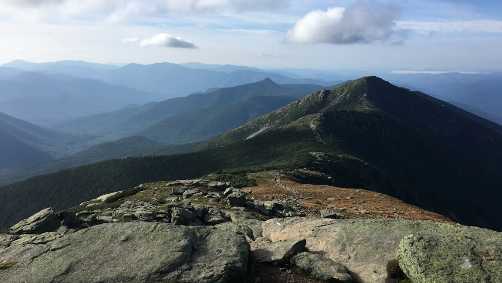 The National Park Service recognizes the club as being “the first hiking club in New England", thus, in all likelihood, making it the first hiking club in the world. 1854: The beginning of the systematic sport of modern mountaineering as we essentially know it today is marked by the ascent of the Wetterhorn in the Swiss Alps by Sir Alfred Wills. His book, Wanderings Among the High Alps, published two years later, helped make mountaineering fashionable in Britain, and ushered in the systematic exploration of the Alps by British mountaineers. These events also marked the beginning of the so-called “Golden Age of Alpinism”. 1863: Professor Albert Hopkins of Williams College founds the Alpine Club of Williamstown, whose stated mission was “to explore the interesting places in the vicinity, to become acquainted, to some extent at least, with the natural history of the localities, and also to improve the pedestrian powers of the members”. It was the first hiking club to accept women as members, which likely provided an important template for future hiking clubs. 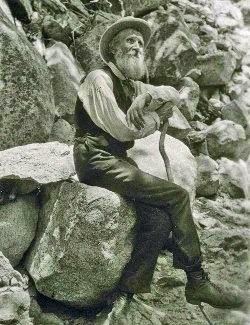 1867: John Muir begins a 1000-mile walk from Indiana to Florida, which was recounted in his book, A Thousand-Mile Walk to the Gulf. The trek launched a lifetime career of hiking and wilderness advocacy. His conservation efforts, articles and books would help to establish several national parks during and after his lifetime. 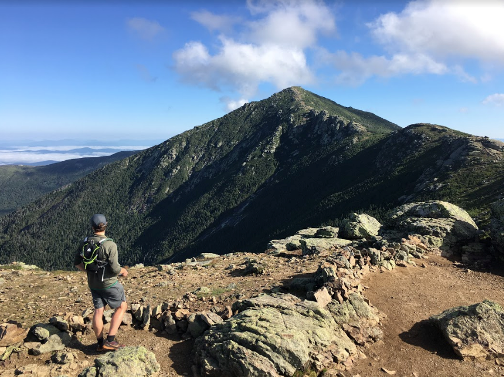 1876: The Appalachian Mountain Club, America’s oldest recreational organization, is founded to explore and protect the trails and mountains of New England. 1877: English writer Louis Jennings publishes Field Paths and Green Lanes: Being Country Walks, Chiefly in Surrey and Sussex, which is likely the first trail guide to be published anywhere in the world. 1879: One of the first hiking clubs in England, the "Sunday Tramps", was founded by Leslie White. These early “rambling” (the English word for hiking or walking) clubs sprang up in the northern areas of England as part of a campaign for the legal "right to roam", a response to the fact that much of the land in England was privately owned. 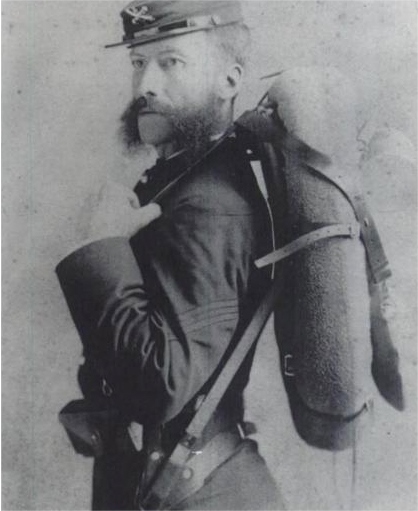 1887: The first external frame rucksack is patented by Colonel Henry C. Merriam. 1922: Australian climber George Finch designs and wears a knee-length eiderdown parka during the 1922 British Everest Expedition. The shell of the coat was made from the waterproofed-cotton fabric of a hot-air balloon, which was filled with duck down. During the expedition Finch and climbing partner Geoffrey Bruce reached a height of 27,300 feet during their summit attempt, which set the record for the highest altitude attained by any human up to that point. 1922: Lloyd F. Nelson submits his application to the U.S. Patent Office for his "Trapper Nelson's Indian Pack Board", which is acknowledged to be the first commercially successful external-frame backpack to be sold in the U.S. The "Trapper Nelson" featured a wooden "pack board" as its frame. Attached to the frame was a canvas sack that contained the hiker's gear, which rested on the hiker's body by two canvas shoulder-straps. Prior to his invention most hikers used a rucksack, which was essentially a loose sack with shoulder straps. 1937: Italian climber and mountaineering guide, Vitale Bramani, invents Carrarmato, or “tank tread". This new rubber lug pattern provides mountaineering boots with outstanding traction, and allows them to be used on a variety of surfaces. The product is launched under the brand name "Vibram". 1968: The National Trails System Act is passed by Congress, resulting in thousands of miles of trails being designated as National Scenic Trails, National Historic Trails and National Recreation Trails. 1969: Bob Gore accidentally stretches a heated rod of polytetrafluoroethylene by almost 800%, which forms a microporous structure that was roughly 70% air. The discovery was introduced to the public under the trademark of "Gore-Tex", which became the first breathable, waterproof, and windproof fabric. 1992: Ray Jardine introduces the concept of ultralight backpacking with the release of his book, The Pacific Crest Trail Hiker's Handbook. 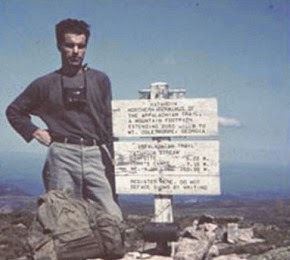 During his first PCT thru-hike Jardine’s pack weighed just 25 pounds. By his third hike it weighed less than 9 pounds. “Ray’s Way” of thinking has led to several innovations that have benefitted both backpackers and hikers. This timeline is only a brief overview of the people, events, inventions and social trends that have helped to shape the sport of hiking as we know it today. 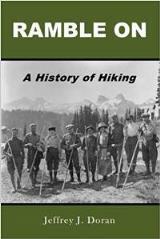 If you enjoyed this short snippet of hiking history, please check out my book, Ramble On: A History of Hiking, which provides a much more in-depth narrative on the history of hiking.